Create custom map experiences, for business or personal, and share with others. 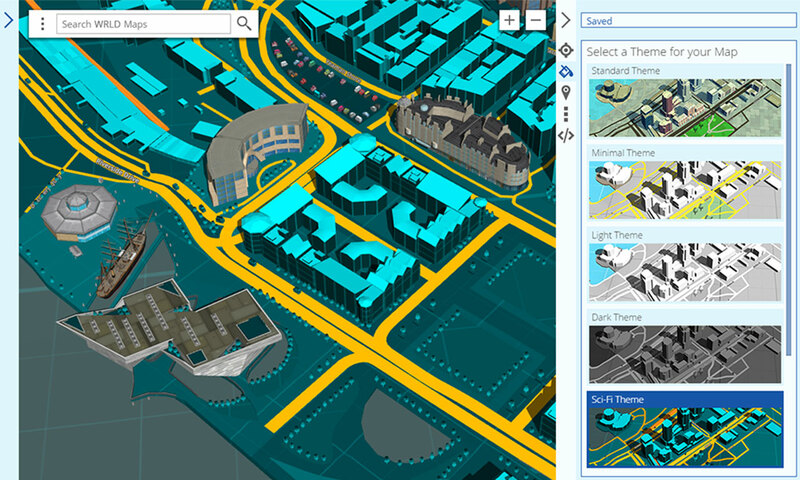 Publish your creation to the web or embed your 3D map on a webpage in a matter of minutes (small or full-screen sizes). View your map on the go and easily share with others through the WRLD mobile app, downloadable on Apple or Google Play stores. Our editing interface allows for both pros and beginners to customize their maps for different end users, turning off/on relevant functionalities and data. 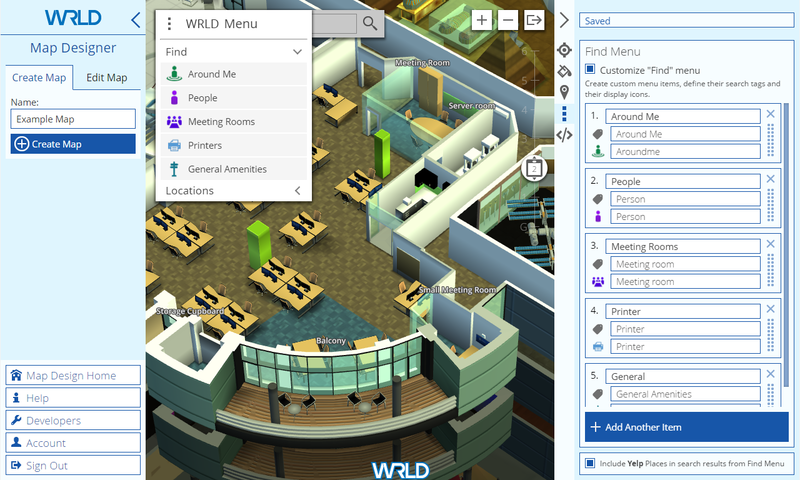 For instance, create an interactive smart workplace map that employees use to locate and book meeting rooms, that visitors use to find meeting areas, and facility managers use to monitor resources. Each group sees a detailed 3D map with relevant location information and notifications updated and managed especially for them. Map Design: Configure coverage and map start location. Select a theme, customize aesthetics and content. Places Collections: Organize relevant Points of Interest collections for different audiences, including custom HTML content. Search Categories: define how users search to locate points of interest relevant to them. We want to see your maps! Share your creations with us at @wrld3d.